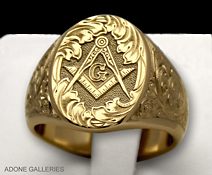 Freemasons proudly wear their rings that bear their fraternity symbols representing values and sentiments that each Master Mason stands holds dearly. 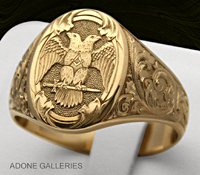 A hand engraved Masonic signet ring enhances the already existing beauty by adding a distinct and distinguished appeal. 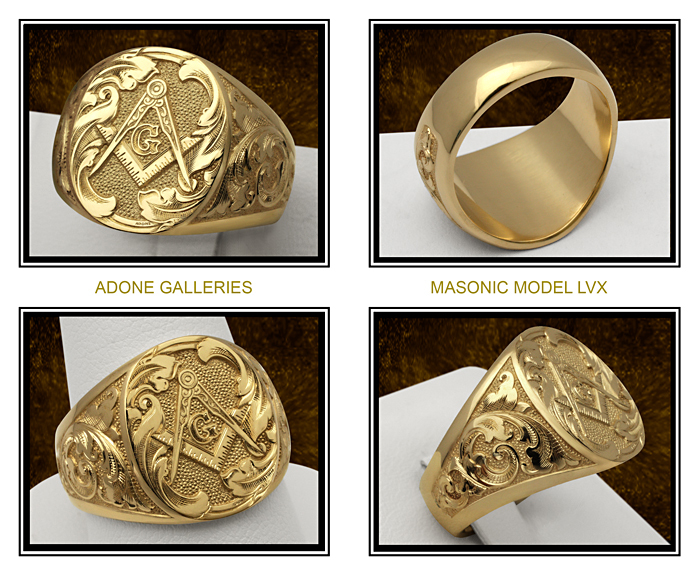 The LVX, LVX-II, LVX-ARKUS, and LVX-C-Egress Scottish Rite rings are lavishly decorated in Victorian style and all models are handmade, hand engraved and signed. 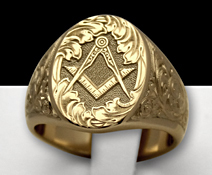 Each Mason signet is finely detailed with great care and attention ensuring that every Masonic signet ring is engraved to the highest of exhibition grade standards. As a hand engraving artist it is extremely gratifying to create beautiful and unique expressions in luxury jewelry. 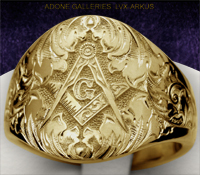 Ring engravings are always crisp and sharply pronounced so that each sparkles brilliantly and contrasts by natural shadow that together form the striking beauty of a hand engraved Freemason ring. Classic fashion jewelry engraving on signet rings, watches, wedding bands and pendants. Tiffany cufflinks and mason cigar band rings, Masonic Jewelry and family crest coat of arms seals engraved signet rings.